The much awaited DHA Multan Villas has been launched. Offered in various sizes on a convenient payment plan that comes with the option of home financing facilities from reliable banks, these villas will let many become part of DHA Multan’s iconic living standards. Here is all you need to know about this project. 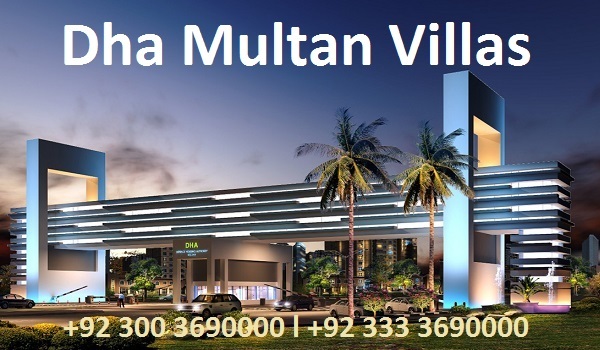 DHA Multan Villas is located in Block D, which lies close to the society’s entrance from the Bosan Road side. The units on offer are available in sizes of 6 marlas, 9 marlas, and 12 marlas. Being a wholesome villa community within DHA, these residents of these units will have exclusive access to a community centre, a shopping mall, an international standard 18-hole golf course, and SICAS education institutes. 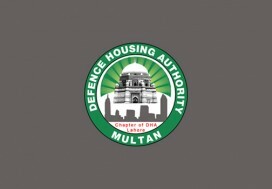 Not to mention that DHA Multan Villas will have perfect security arrangements for its residents. Health, leisure, and recreational facilities will readily be available within the premises. And that’s in addition to maintained parks and green areas, thoughtfully developed business centres, and well-maintained ambiance. 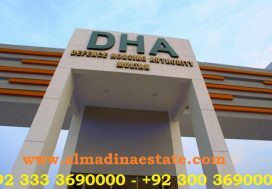 According to DHA Multan’s authorised agents, the offer has generated good market response where the number of inquiries received about applying for it has been mounting with every passing day. From this response, they also believe that soon after the ballot decides who will be the lucky allottees, there will be premiums on these units. Some believe that the unit most in demand after the ballot would be the 9-marla villa. This assumption is based on the fact that 10-marla residential plots also turned out to be more popular than other plots. The 6-marla units are also believed to perform well in terms of public interest. And since the 12-marla units are expected to be limited in number, and these are most definitely the right house size for larger families, their demand may also surprise the market. DHA Multan Villas was launched on August 30 and the last date to apply for these units is September 28. Please stay tuned to our next blog for details on how to apply for these units. Here are basic details on the available units as the information is meant to help you pick the most appropriate unit according to your needs and budget. The covered area of this unit is 1,994 square feet and it has three bedrooms. Those looking to apply for it have to submit a non-refundable Application Fee of PKR 3,500 and a refundable Booking Fee of PKR 50,000. If successful, you will be required to clear the dues in 3 years. 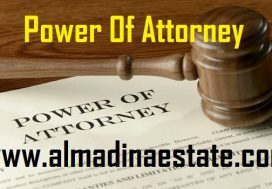 The down payment amount is PKR 2,450,000, while the (equal) amount to be paid every quarter is PKR 625,000. Its covered area is 2,751 square feet and the unit features 4 bedrooms. The non-refundable Application Fee for these units is also set reasonably at PKR 4,000 and the refundable Booking Fee is PKR 75,000. The payment plan duration is the same at three years, where PKR 3,925,000 is set as the down payment amount, while PKR 1,000,000 has to be paid every quarter, for 12 consecutive quarters. Processing fee for the 4-bed 12-marla unit is PKR 4,000, while the refundable Booking Fee is PKR 100,000. The payment plan is three years long, where the booking amount is PKR 4,650,000 and the amount to be paid every quarter is PKR 1,187,500. The price of the 5-bedroom unit is slightly higher due to the addition of another bedroom. Those applying for it have to submit PKR 5,000 as a non-refundable Application Fee and PKR 125,000 as a refundable Booking Fee. The successful applicants will be paying PKR 5,125,000 as down payment and PKR 1,312,500 per each quarterly instalment.